We need your help during your lifetime and in the future. If you wish to remember the animals that will be under our care with our animal shelter, we will need your continued help. If you wish to remember them in your will or through your life insurance policy, or make us the beneficiary, our proper name is: Carroll County Animal Protection League. In providing for the animals by making a bequest in your will, estate, or an endowment, your legacy will carry on forever and help us in our efforts to provide loving and caring temporary homes for the animals that will enter our shelter. We purchased 5.393 acres of land on State Route 43 (Canton Rd.) Carrollton, Ohio between Carrollton and Malvern, to build the shelter. If you could even consider us in your will at this time, you can provide us with more financial resource needs after you are gone. Please consider us at this time. We need your help now, and in the future! You can help through a bequest in your will. If you already have a Will, it generally is possible to add a bequest for us without preparing a new Will. Through a short separate document, known as a "codicil", you can include the Carroll County Animal Protection League (a.k.a.CCAPL) as your beneficiary. "I bequeath to The Carroll County Animal Protection League, a not-for-profit organization, the sum of $_______________to be used exclusively for shelter operations or purchasing more land near the current land belonging to the CCAPL, and/or operating expenses and maintenance for the CCAPL's animal shelter. This bequest will not be used for fund-raising expenses." For more information please write to: WCRI Estate Planning, P.O. Box 98025, Washington, D.C. 20090-8025. "Animals are not lesser creatures than humans. They are just packaged differently." PLANNED GIFTS for future funding for the Carroll County Animal Protection League's Animal Shelter. A bequest is simply a gift made through a will. If you already have a will, a simple addition called a "codicil" is all that is needed to include a gift to the C.C. Animal Protection League. You can leave a specific asset, or the remainder (or a portion of the remainder) of what is left after all other bequests are made. The following wording may prove helpful to your attorney when writing your will. A gift of life insurance can provide tax advantages to the donor while providing significant support to the CCAPL. There are several ways to use life insurance to make a gift. The Carroll County Animal Protection League can be named as owner and beneficiary of your fully paid policy. Or you can purchase a new policy with the Carroll County Animal Protection League as the owner and beneficiary. A policy that no longer serves its purposes (for dependents, a business that no longer needs insurance) can be changed to name the Carroll County Animal Protection League as the owner and beneficiary. Finally, you may choose to designate the Carroll County Animal Protection League as the beneficiary of a policy already in existence. Transferring assets into a charitable remainder trust can provide you with a current income tax deduction and a stream of lifetime income for you, your spouse or children. At the termination of the trust, the remaining assets are transferred to the Carroll County Animal Protection League. Similar to a charitable remainder trust, except the Carroll County Animal Protection League receives the income from the trust. Upon termination of the trust, the assets are transferred to your designated beneficiary. This allows you to make a significant gift through the income generated by the trust, while maintaining the assets for your heirs. A charitable gift of real estate could be a particularly valuable decision from a tax perspective. If you have owned a piece of real estate for many years, it might have appreciated in value to the point that capital gains will be exceptionally high. 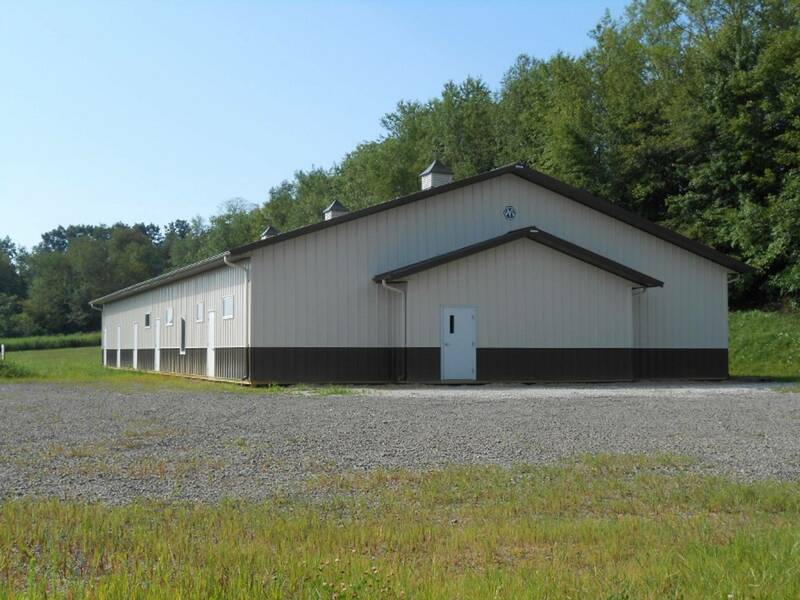 If that property is instead donated to the Carroll County Animal Protection League, you can avoid the capital gains tax and realize a charitable deduction for the full fair market value of the real estate. Gifts of Stock: Gifts of appreciated securities that you have held for over one year are especially advantageous from a tax perspective. There is no capital gains tax due on the appreciation, and your income tax deduction is based on the current fair market value of the gift. Another consideration: A monetary gift to the CCAPL "In Memory or in Honor of" a loved one. Or, in lieu of flowers, a monetary donation in memory of a beloved pet or person. We thank you for your consideration on behalf of the animals which will come under our care.